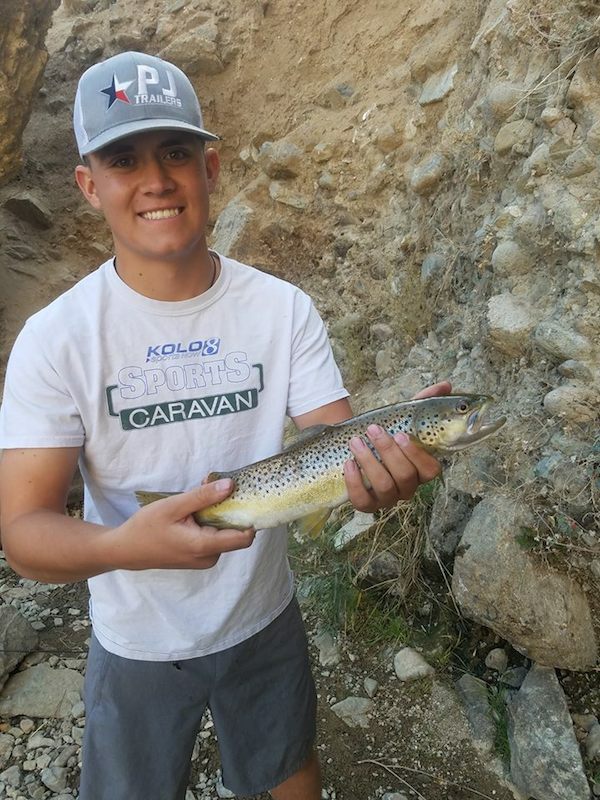 Kyle Blanchard of Virginia City and Harrison Collins were out at Topaz Lake fishing in the canal on October 26th. Harrison landed on this brown and Kyle caught the bass on a spinner. Kyle says that there are a ton of bass out there right now and some Rainbows and Browns. 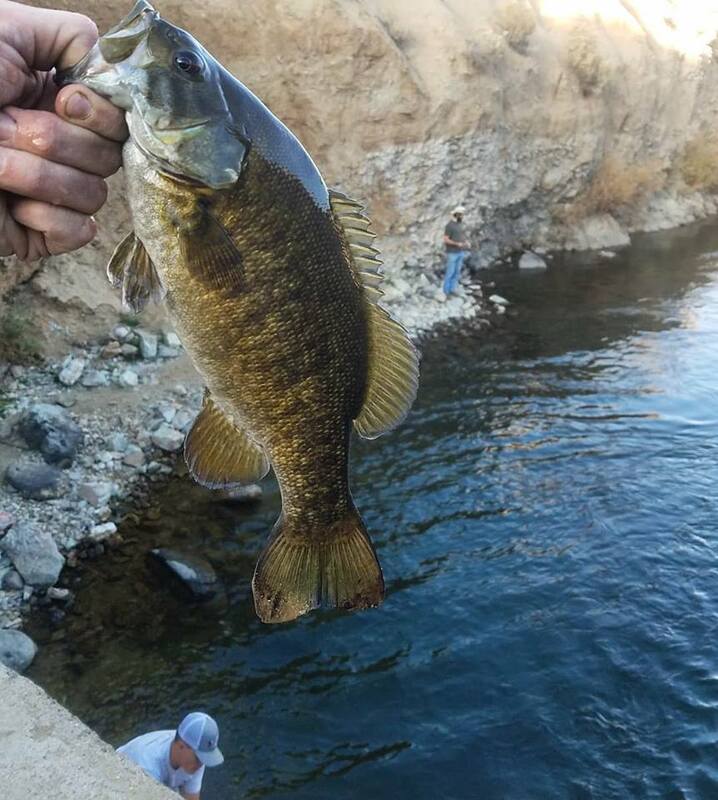 It appears that the Smallmouth Bass are taking over. Blue Lake Lower Fishing Report!